For January, Beading Divas to the Rescue/Beading Divas Bracelets is excited to be fundraising for Cody’s Friends Charity here in Tucson. Hi, my name is Cody Allen. In 2010, when I was 10 years old, I had to choose a hero to write a report about. I chose President John F. Kennedy. I read his quote: “Ask not what your country can do for you, ask what you can do for your country.” I started wondering what I could do for my country. I loved animals and wanted to help animals in need. And so, Cody’s Friends was born. For four years, I made flyers and passed them out in nearby neighborhoods. My mom and I would pick up donations from front porches and deliver them to animal rescue groups. My sister made me a website and a Facebook page. Then, a law firm saw what I was doing and offered to make Cody’s Friends a 501(c)(3). Today 75 rescue groups, 35+ human service agencies and shelters come to Cody’s Friends for pet food and pet supplies. 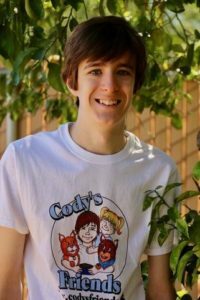 As the month goes on, you will learn more about Cody’s and how you can help. 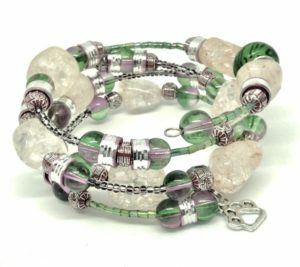 In the meantime, check out these beautiful one-of-a-kind beautiful $20 bracelets with a dangling paw charm. 90% or $18 goes to Cody’s for every bracelet sold during January.